Lowell G. Baron has served as a director of Hospitality Investors Trust, Inc. since March 2017, and has been appointed to the Board of Directors by our Brookfield Investor. Mr. Baron currently serves as Managing Partner at Brookfield Asset Management Inc. (“BAM”), an affiliate of the Brookfield Investor, and Chief Investment Officer of its real estate business. Mr. Baron joined BAM in 2005, and has held various senior positions there, including most recently leading BAM’s U.S. real estate investing activities, and responsibility for BAM’s multifamily and hospitality businesses. At BAM, Mr. Baron has been involved in a wide range of corporate and asset acquisitions and financings, including most recently the acquisitions of Associated Estates, Center Parcs, Rouse Properties, Simply Self Storage, and approximately $5 billion of multifamily, hospitality, and manufactured housing assets. He also has been heavily involved in the acquisition and integration of BAM’s multifamily, hospitality and self-storage operating platforms. Prior to joining BAM, Mr. Baron worked for Deutsche Bank for nine years focused on both real estate private equity and investment banking. He has over 20 years of real estate experience. Mr. Baron received a Bachelor of Science degree in finance from Yeshiva University. Stephen P. Joyce has served as an Independent Director of Hospitality Investors Trust, Inc. since March 2017. Mr. Joyce has served as Chief Executive Officer of Dine Brands Global, Inc. (formerly known as DineEquity, Inc.) (NYSE: DIN), one of the largest full-service restaurant companies in the world, since September 2017, and as a member of its Board of Directors since February 2012. From 2008 until September 2017, he served as president and chief executive officer, and a member of the board of directors, of Choice Hotels International, Inc. (NYSE: CHH), a publicly-traded lodging franchisor. From 1982 to 2008, Mr. Joyce was with Marriott International, Inc., where he attained the role of executive vice president, global development/owner and franchise services, in addition to holding other leadership positions. Stanley R. Perla has served as an Independent Director of Hospitality Investors Trust, Inc. since January 2014. Mr. Perla has also served as an independent director of American Finance Trust, Inc. (formerly known as American Realty Capital Trust V, Inc.) since April 2013. Mr. Perla previously served as a trustee of American Real Estate Income Fund from May 2012 until August 2016, and as an independent director of American Realty Capital Global Trust II, Inc. from August 2014 until January 2016. Mr. Perla served as an independent director of American Realty Capital Daily Net Asset Value Trust, Inc. from March 2012 until April 2013. Mr. Perla, a licensed certified public accountant, was with the firm of Ernst & Young LLP for 35 years, from September 1967 to June 2003, the last 25 of which he was a partner. From July 2003 to May 2008, he was the director of Internal Audit for Vornado Realty Trust and from June 2008 to May 2011, he was the managing partner of Cornerstone Accounting Group, a public accounting firm specializing in the real estate industry and a consultant to them from June 2011 to March 2012. Since May 2012, Mr. Perla has provided consulting services to Friedman LLP, a public accounting firm. His area of expertise for the past 40 years has been real estate and he was also responsible for the auditing of public and private companies. Mr. Perla served as Ernst & Young’s national director of real estate accounting, as well as on Ernst & Young’s national accounting and auditing committee. He is an active member of the National Association of Real Estate Investment Trusts and the National Association of Real Estate Companies. In addition, Mr. Perla has been a frequent speaker on real estate accounting issues at numerous real estate conferences. Mr. Perla has served as a member of the board of directors and the chair of the audit committee of GTJ REIT, Inc. since January 2013. Mr. Perla previously served as a director and chair of the audit committee for Madison Harbor Balanced Strategies, Inc. from January 2004 to June 2017, American Mortgage Acceptance Company from January 2004 to April 2010, and Lexington Realty Trust from August 2003 to November 2006. Mr. Perla earned an M.B.A. in Taxation and a B.B.A. in Accounting from Baruch College. Bruce G. Wiles has served as Chairman of the Board of Directors of Hospitality Investors Trust, Inc. since March 2017, and has been appointed to the Board by our Brookfield Investor. Mr. Wiles currently serves as a Managing Partner at Brookfield Asset Management Inc. (“BAM”), an affiliate of the Brookfield Investor, and as the president and chief operating officer of Thayer Lodging Group, LLC (“Thayer Lodging”), a hotel investment company and also an affiliate of the Brookfield Investor. He has held these positions since the acquisition of the Thayer Lodging Group in May 2014 by BAM. Thayer Lodging is currently the US lodging investment platform of BAM, one of the world’s largest investment managers. BAM globally manages assets of over $250 billion with most of those assets invested in commercial real estate. Thayer Lodging acquires hotels in the U.S., Canada and Mexico. Mr. Wiles is active in the development and execution of BAM’s hotel investment program. BAM is one of North America’s largest and most active hotel investors. At Thayer Lodging, Mr. Wiles’ duties also include the management of all of its operating teams including Development, Asset and Hotel Management and Finance. Previously, Mr. Wiles served as a Managing Director of Thayer Lodging Group as well as its President and Chief Operating Officer. Bruce Wiles is one of three named principals of the current Thayer Lodging Group sponsored, legacy hotel investment funds. Mr. Wiles joined Thayer Lodging Group in May 2007. He is also a senior advisor to Thayer Ventures, a venture capital fund with a focus on travel and hospitality. Mr. Wiles also served as the Chief Executive Officer of Hotel Acquisition Company (“HAC”), a joint venture between the Thayer Lodging Group and Jin Jiang International Hotel Group, China’s largest hotel company. Mr. Wiles served in this role from May 2010 through May 2016. HAC owned Interstate Hotels & Resorts, LLC (“Interstate”), a leading independent manager of hotels that also managed certain of our hotels until early in April 2017. Mr. Wiles was a member of the Board of Directors and the Lead Director of Interstate. HAC sold Interstate in May 2016, and Mr. Wiles currently serves as the Chief Executive Officer of the successor entity which holds assets not conveyed in the sale of Interstate which are primarily comprised of hotels. Edward A. Glickman has served as an Independent Director of Hospitality Investors Trust, Inc. since March 2017. Mr. Glickman has served as the Executive Chairman of FG Asset Management US since 2013. Mr. Glickman has served as an Investment Professional, with a focus on real estate investments, at Miller Investment Management, LP since 2015. Mr. Glickman served as the Executive Director of the Center for Real Estate Finance Research and Clinical Professor of Finance at New York University Stern School of Business from 2012 until 2015. He also held an adjunct appointment at Drexel University’s LeBow College of Business. 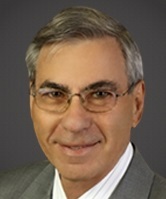 Mr. Glickman was President, Chief Operating Officer, and Trustee of the Pennsylvania Real Estate Investment Trust (“PREIT”) (NYSE: PEI), a real estate investment trust focused on shopping malls, from 2004 until 2012 and was Executive Vice President and Chief Financial Officer of PREIT from 1997 to 2004. Mr. Glickman joined PREIT after it acquired The Rubin Organization, a closely held real estate company, where he had served as Chief Financial Officer. Mr. Glickman served as Executive Vice President and Chief Financial Officer of Presidential Realty Corporation (OTCQB: PDNLP), a real estate investment trust focused on apartment units, from 1989 to 1993. Prior to this, Mr. Glickman was an investment banker with Shearson Lehman Brothers and Smith Barney. Mr. Glickman is a Fellow of the Royal Institution of Chartered Surveyors and a Certified Treasury Professional. He serves as a senior advisor to Econsult Solutions, Inc. He serves on the Board of Equity Commonwealth (NYSE: EQC), the Temple University Health System and The Fox Chase Cancer Center. He was formerly Chairman of The Kimmel Cancer Center at Jefferson University and a member of the Real Estate Roundtable where he was the Co-Chair of the Homeland Security Committee. Mr. Glickman received a B.S. from the Wharton School of Business, the University of Pennsylvania, a Bachelor of Applied Science from the College of Engineering and Applied Science, the University of Pennsylvania, and an M.B.A. from the Harvard Graduate School of Business Administration. Jonathan P. Mehlman has served as a director of Hospitality Investors Trust, Inc. since March 2017, and also serves as the Company’s Chief Executive Officer and President. Previously, Mr. Mehlman served as executive vice president and chief investment officer of the Company from its formation in July 2013 until December 2014. Mr. Mehlman has 22 years of experience in the real estate investment banking and capital markets with significant focus in the hospitality sector. Within the real estate industry, Mr. Mehlman has acted as a Mergers and Acquisitions advisor, investment banker and lender and has many years of experience coordinating transaction activity for public and private global hotel brands and U.S. hotel REITs. From August 2012 until January 2013, Mr. Mehlman was co-head of the real estate advisory group at KPMG before joining AR Capital, LLC (“AR Capital”), the predecessor to AR Global Investments, LLC (“AR Global”), in January 2013 as an executive vice president and managing director. During his tenure as an executive officer of the Company until the Initial Closing in March 2017, when we transitioned to self-management, Mr. Mehlman also served in the same capacity as an executive officer of the Former Advisor and the Former Property Manager. From September 2009 through August 2011, Mr. Mehlman was co-head of the lodging and gaming investment banking business for Citadel Securities. From August 2008 to September 2009, Mr. Mehlman served as head of the real estate advisory group at HSBC. From 2005 to 2008, Mr. Mehlman led the hospitality investment banking effort for Citigroup Global Markets. From 1993 to 2005, he worked at Deutsche Bank Securities and its predecessor company, Bankers Trust Company, in the real estate investment banking group, specializing in the business development and client coverage within the hospitality sector and for real estate private equity sponsors. Mr. Mehlman received his bachelor of arts in history of art from the University of Michigan as well as a master in business administration with a focus in real estate and finance from the University of North Carolina. Abby M. Wenzel has served as an Independent Director of Hospitality Investors Trust, Inc. since September 2013. Ms. Wenzel has also served as an independent director of American Realty Capital New York City REIT, Inc. since March 2014 and as an independent director of Global Net Lease, Inc. (NYSE: GNL) since March 2012. Ms. Wenzel previously served as independent director of American Realty Capital Trust IV, Inc. from May 2012 until the close of the merger of American Realty Capital Trust IV, Inc. with American Realty Capital Properties, Inc. (n/k/a VEREIT, Inc., “VEREIT”) in January 2014. Ms. Wenzel has been a member of the law firm of Cozen O’Connor, resident in the New York office, since April 2009, as a member in the Business Law Department. Since January 2014, Ms. Wenzel has served as co-chair of the Real Estate Group. Ms. Wenzel has extensive experience representing developers, funds and investors in connection with their acquisition, disposition, ownership, use, and financing of real estate. Ms. Wenzel also practices in the capital markets practice area, focusing on capital markets, finance and sale-leaseback transactions. She has represented commercial banks, investment banks, insurance companies, and other financial institutions, as well as the owners, in connection with permanent, bridge, and construction loans, as well as senior preferred equity investments, interim financings and mezzanine financings. She has also represented lenders in connection with complex multiproperty/multistate corporate sales. Prior to joining Cozen O’Connor, Ms. Wenzel was a partner with Wolf Block LLP, managing partner of its New York office and chair of its structured finance practice from October 1999 until April 2009. Ms. Wenzel currently serves as a trustee on the board of Community Service Society, a 160-year-old institution with a primary focus on identifying and supporting public policy innovations to support the working poor in New York City to realize social, economic, and political opportunities. Ms. Wenzel is a member of the audit committee for Community Service Society and chaired the audit committee from 2012 through 2017. Ms. Wenzel also serves as a trustee on the board of The Citizen’s Budget Commission, a nonpartisan, nonprofit civic organization, founded in 1932, whose mission is to achieve constructive change in the finances and services of New York City and New York State government. Ms. Wenzel received her law degree from New York University School of Law and her undergraduate degree from Emory University.